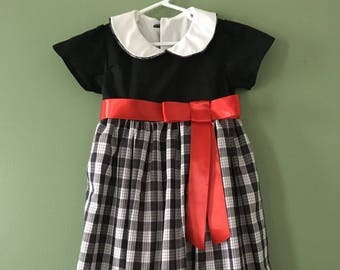 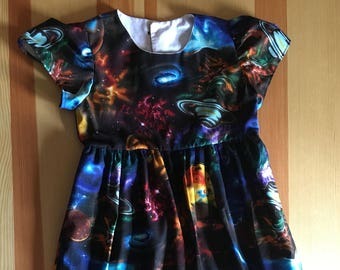 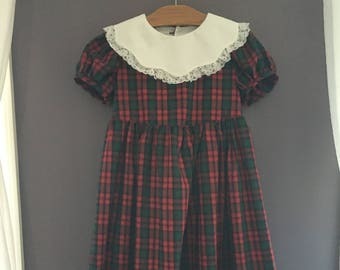 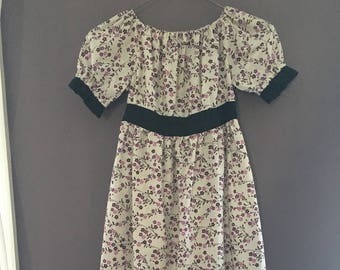 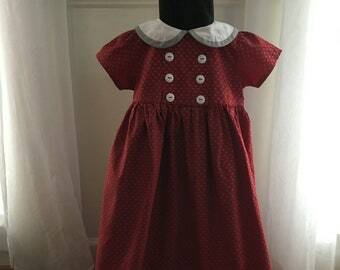 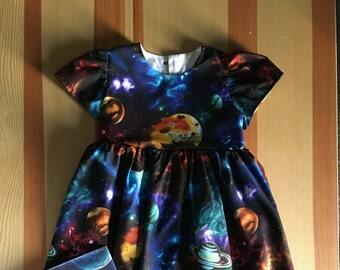 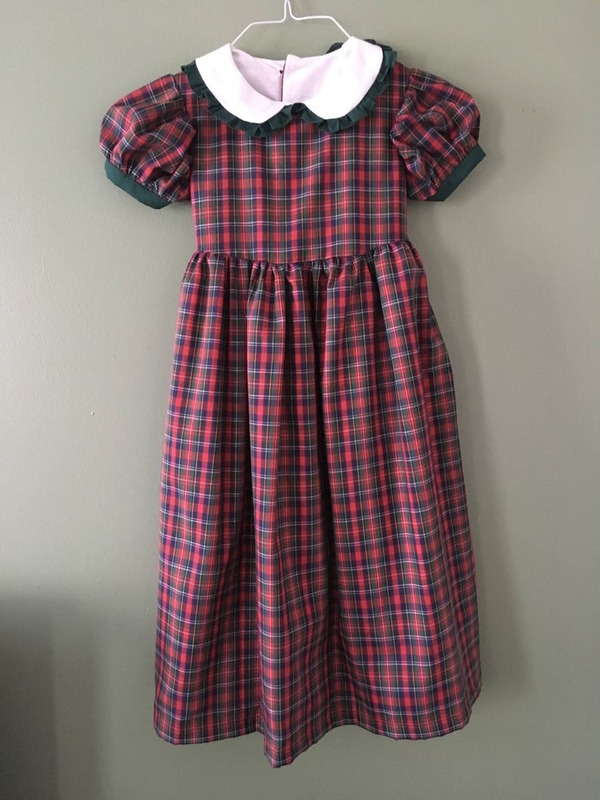 This charming, fully lined, full length girls dress is a perfect fit for any season. 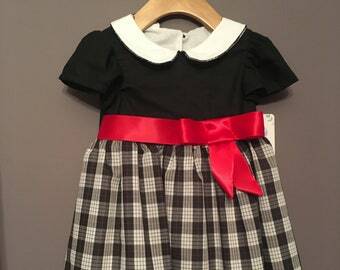 With a tastefully gathered collar, puffed sleeves that every girl loves, and a nice bow to finish it off. 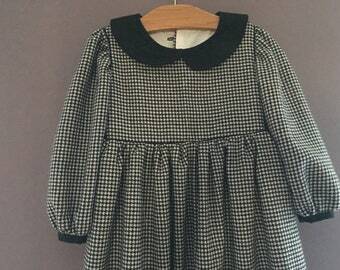 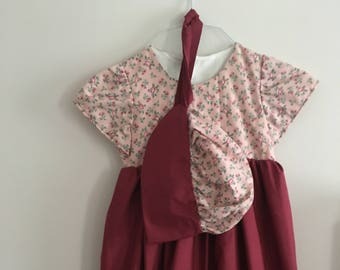 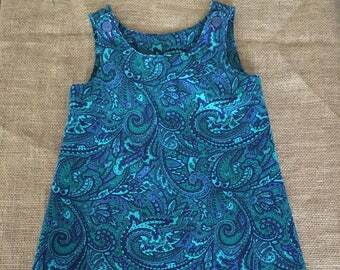 This dress is made from pre-washed with natural laundry detergent, cotton fabric. 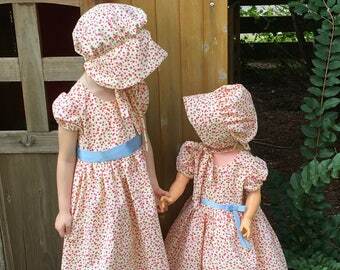 Wash and dry on your machines' delicate settings. 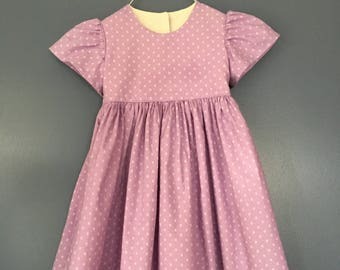 This dress is made in the USA with pride in a smoke free environment.